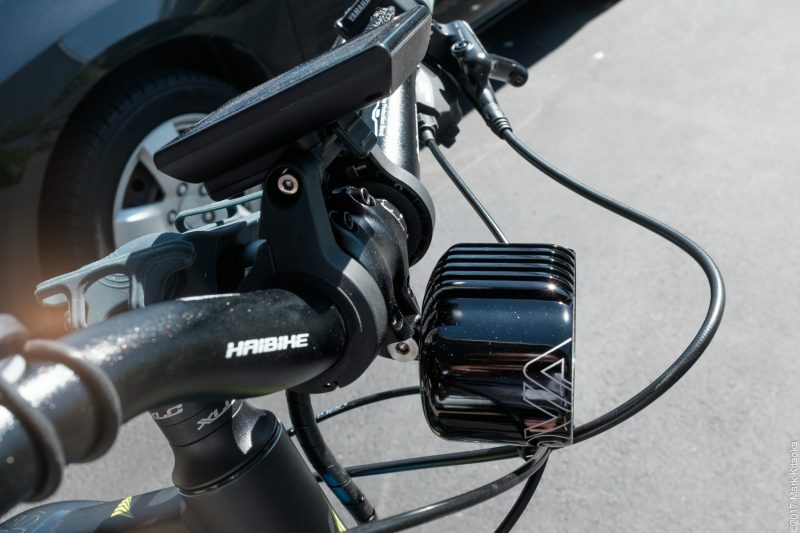 Although this has little to do with the M99 Pure, I have another post about my ebike if you’re interested about my upgrades…. I recently changed the mounting of my M99 Pure. Why? Well because I wanted to bring the headlight closer into the bike in the event of a crash. Also I wanted a longer stem to bring my riding position a bit more forward. So in searching online I found that none other than Supernova offers two stems that extend the reach of my arms to the handlebars but also offers an elegant mounting solution for the M99 headlights! The Promax 90 is the one I purchased. Installation is a snap and I could not be more pleased with the mounting solution for the M99 headlight as well. 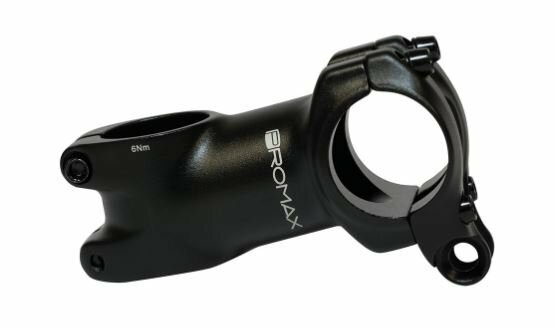 As you can see the Promax 90 stem allows mounting the M99 units directly to the stem keeping the light out of harm’s way should you (I) crash! My prior mounting solution for the M99 unit places it much further away from the stem. Side view of the Promax mounting solution. Side view of my former mounting solution. 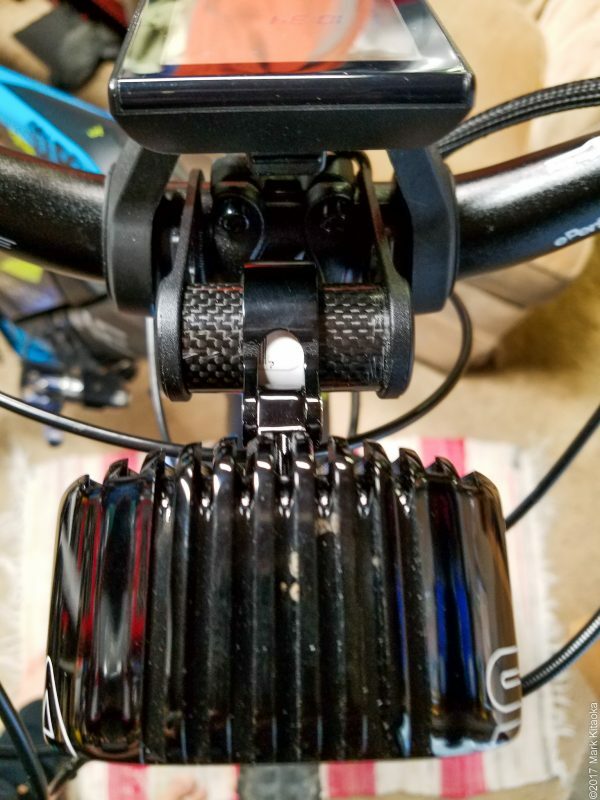 How I mount my cell phone to my bike’s handlebar stem. 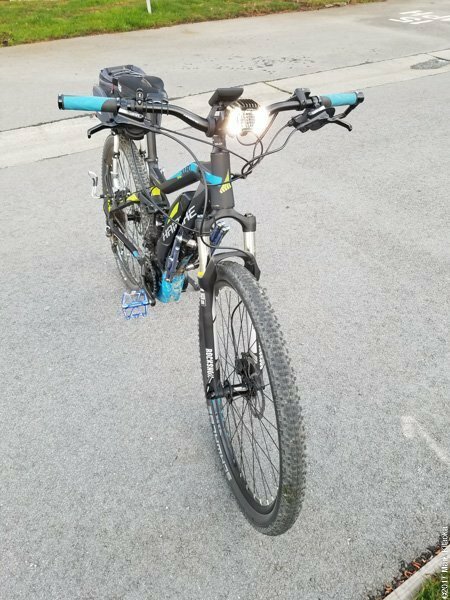 Someone had asked me on a bike forum if I could compare the Supernova lights to others on the market. I thought a better comparison is how they compare to car headlights/taillights. So here is a side by side comparison made during dusk. 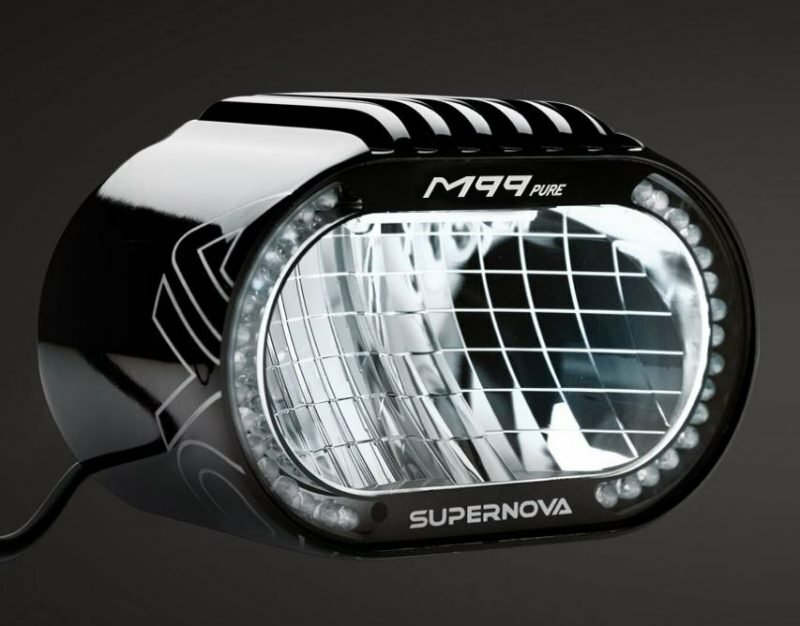 The Supernova M99 is using its daytime running LED lights since it’s not dark enough for it to switch automatically to the headlight mode. It gives you a good idea how it compares to a car’s headlight’s low beam. This gives you an idea how bright the Supernova’s E3 2 tail light is compared to an automobile’s rear tail lights at dusk. I wanted to update my post regarding Supernova products. 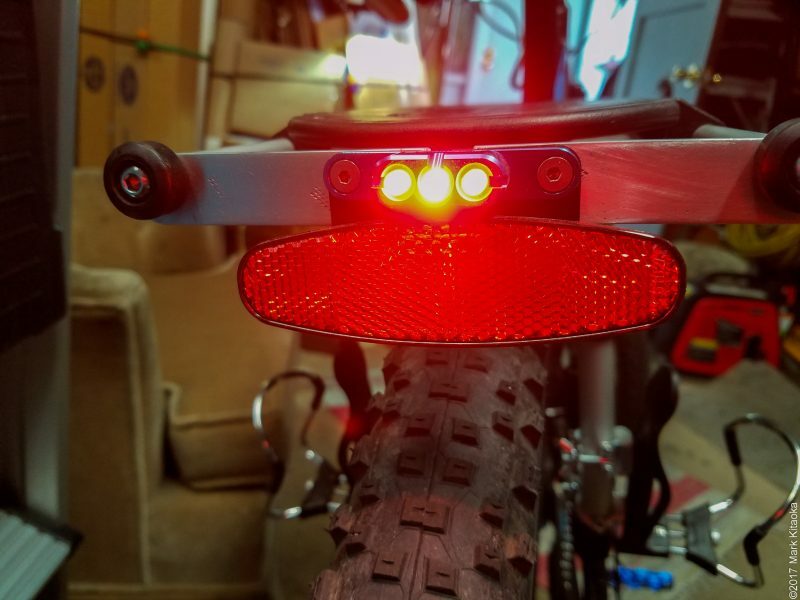 After installing their M99 Pure on my Haibike Sduro Fullnine RC I decided to purchase one of their E3 Taillights. Since none of the US retailers had the blue color I opted to buy directly from Supernova in Germany. I was fully prepared to wait a while for shipping/customs/etc but to my pleasant amazement the items were delivered in four days from Germany to the Bay Area in California via UPS’s international service! 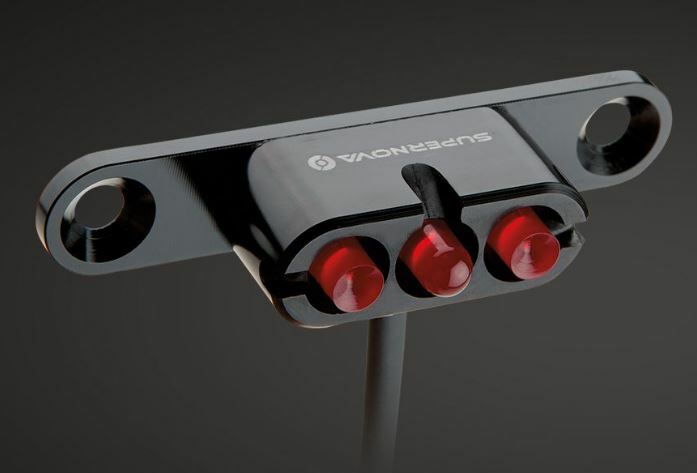 Supernova E3 2 Tail light in black. I’m old school and like to work on things myself for two reasons. First there is a satisfaction I get installing or working on my gear and second I know the job will be done to my satisfaction. 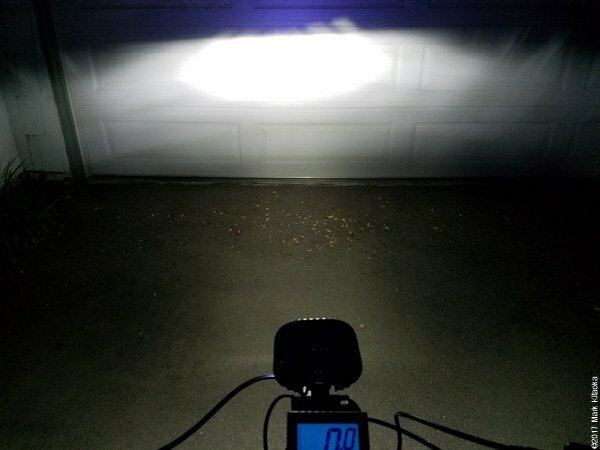 (most of the time…LOL) Like so many others I had chosen to purchase aftermarket battery powered lights for my bike, both the headlight and tail lights. 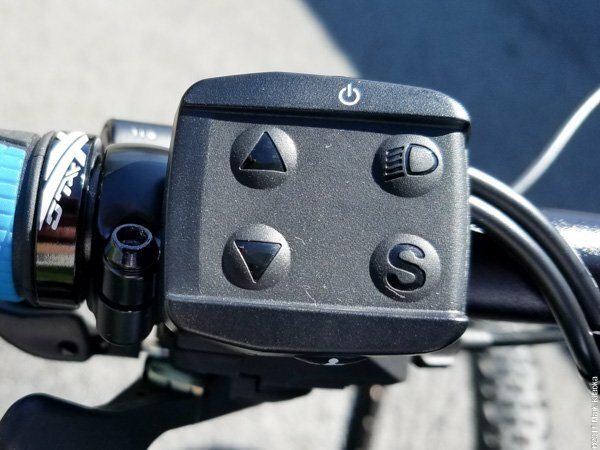 Since my girlfriend’s Haibike Trekking came with a headlight and taillight installed so she could simply use the light keypad on the Sduro line I was envious. 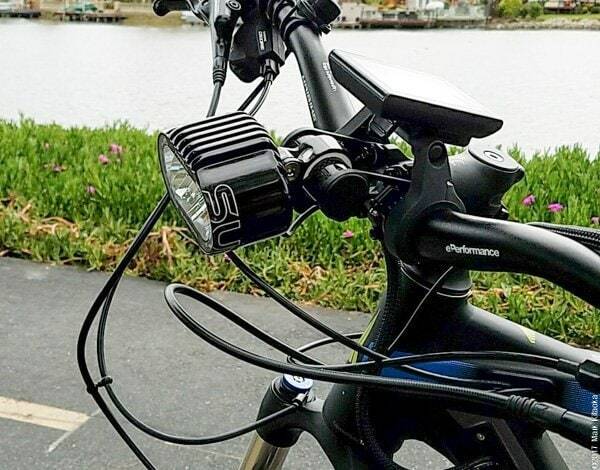 It was then I decided I was tired of recharging different lights on my ebike (with its own friggin battery!) and took the plunge. Installing the M99 Pure on my ebike was straightforward. But installing the tail light was different. I had installed a Thule Pack and Pedal rack on the back of my eMTB so that I can carry different items. I had to fabricate a mount for the tail light and ascertain how to route the wires from the motor through the frame and then integrate it into the rack. The top tube of the Sduro and the down tube at the head stem are solid with only two small holes between them. So fishing the wire from the top tube to the down tube was tricky and took some time. If you look closely you can see I routed the tail light wire on the left side of the bike into some chemical tubing to prevent the wire from fraying. I routed the taillight wire up through the Pack and Pedal left brace. (Oh and the water bottle cage bosses were custom fabricated by moi using truss clamps and are NOT part of the Pack and Pedal rack. 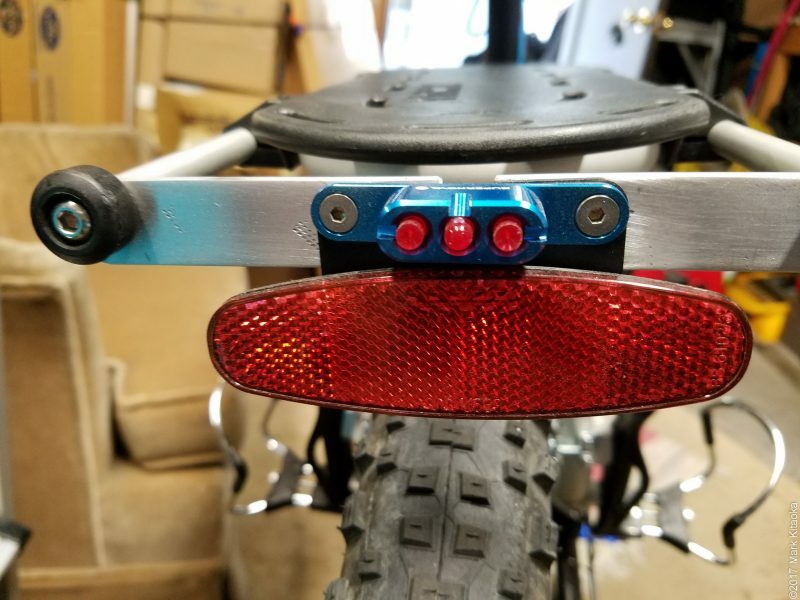 My fabricated mounting bar for the Thule Pack and Pedal rack with my blue Supernova E3 2 tail light installed. I also purchased and installed their red reflector as well. It’s really tough to tell from any photograph how bright a light is in real life. I can simply say that their tail light is bright and waterproof. I also purchased directly from Supernova their Supernova SL Carbon Central Handlebarmount. It fits a Haibike Sduro handlebar perfectly keeping the M99 centered and securely mounted…typical German stuff! The white bit you see is some PVC tubing I used to shim the mounting bracket to the carbon tube. The bracket is designed to fit a 31.8mm shaft and the carbon tube is 26mm. Why buy their version? As you can see the aluminum mounting brackets are super thin so I could perfectly center the bracket between the head stem and display mounts. Profile view of my mounting configuration. 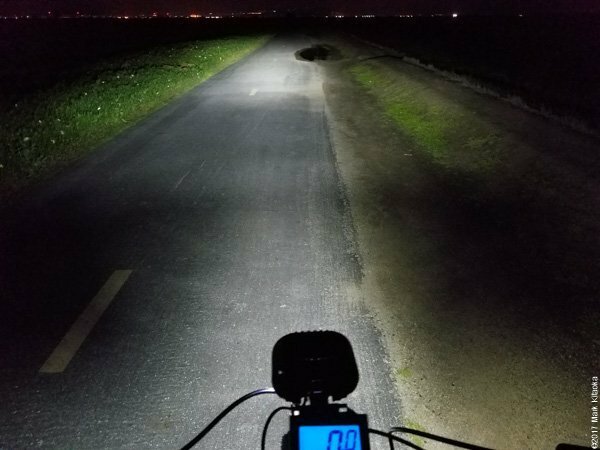 Why is Mark posting an article about a flippin ‘ebike light’ when his site is about photography!!???? Well because life isn’t just about photography and after all this is my blog and I can write about whatever I want! LOL. In truth I tend to be an early adopter of ‘things’ having to do with light. 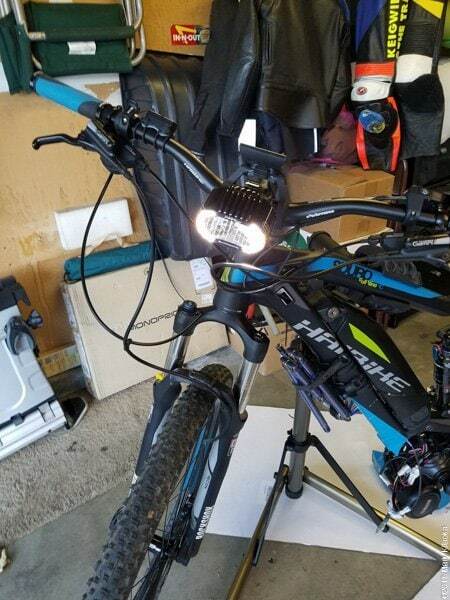 Photographic strobes in particular and now ebike lights. 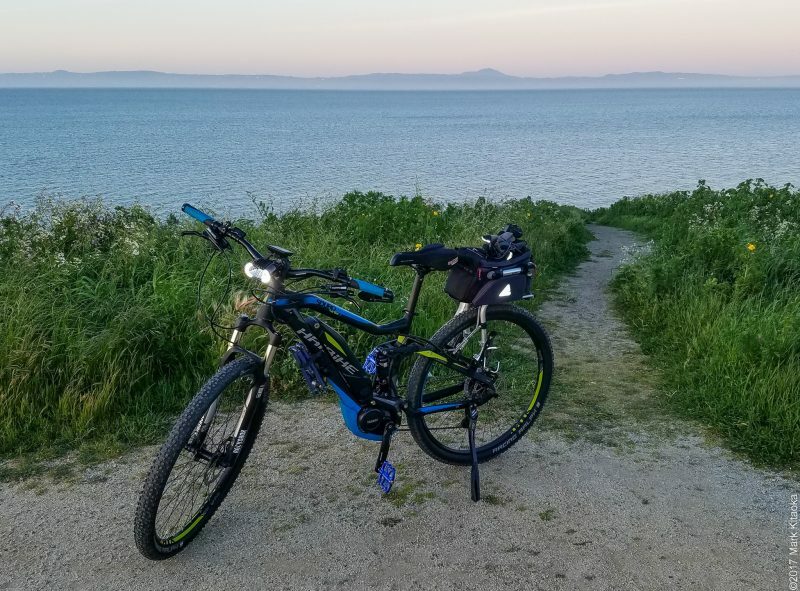 I had researched ebikes for a year and a half before ever riding one. They intrigued me since I’ve raced motorcycles all of my life, first motocross and then closed course racetracks. But alas age caught up with me and rather than endangering the lives of my fellow racers I decided to hang up my leathers and knee sliders….sigh. Most important, a wide and bright beam pattern of light. Not a pinpoint light. Supernova includes wire clips to install the unit but I have always preferred to solder my connects and then shrink wrap the wires. Sano! It’s necessary to drop the motor to install the wiring into the OEM harness, but it’s no big deal to do so. The most difficult part is arranging the wiring harnesses back so that the engine will pivot back up to clear the engine bolts. This is the Sduro 4 button controller. As you can see the upper right button controls the light you install into the main harness system. I installed the M99 Pure to take advantage of this OEM button. Daytime running lights. You don’t need to run lights at all. Just don’t press the light button on the keypad. The Supernova M99 Pure works FLAWLESSLY on my Haibike Sduro! The light pattern is just what I wanted, bright and wide much like my former street motorcycles on low beam. The correct way to mount to unit is parallel to the ground since Supernova’s design points the main beam of light downward as to not blind oncoming viewers. It automatically changes from daytime running lights (ala Audi’s LED running lights) to regular headlight when going through a tunnel or when it becomes dark. If you’re worried that the headlight doesn’t activate until it’s too dark, not to worry, it’s engineered to come on well before it gets too dark. I’ve only had it installed for two days and the power drain on my battery is null. And the best part is the illumination and beam pattern. Nice and wide. A moonless sky on the bike path where I live. Wonderful light pattern and illumination. 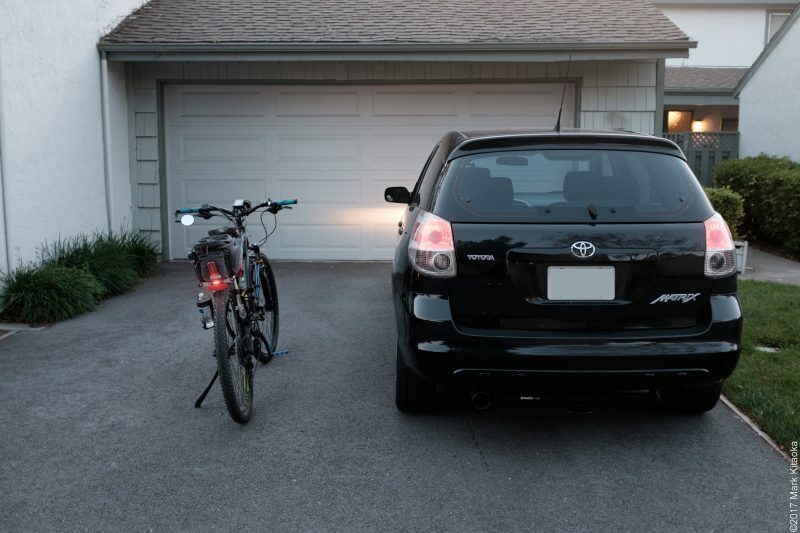 Aiming the angle of light on my garage door to match a car’s low beam angle. 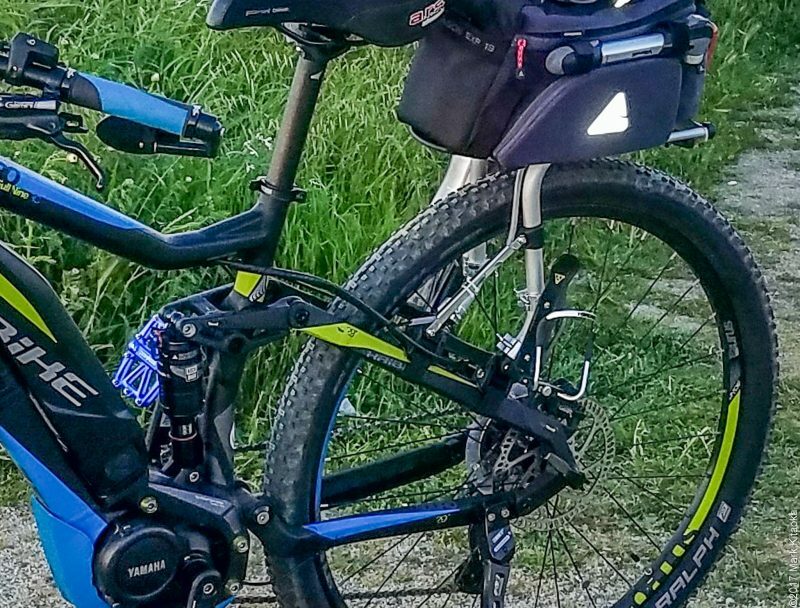 I write this because ebikes are relatively rare in the USA right now and reviews of the Supernova line are even more scarce. 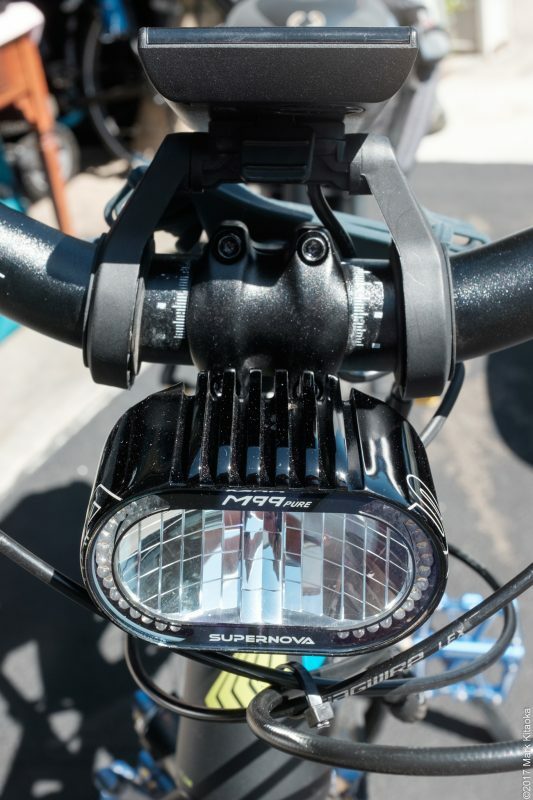 And yes they’re expensive…..but that’s OK for a headlight that ticks all of my requirements. thanks for the review, I have the xduro 2017all mountain 7.0 haibike and purchased the M99 pro. The problem I am having is the handlebars are 35mm at the stem and there are no mounting parts available except (i understand from Luis the mechanic at Motostrano) a stem mount to the pinch bolts. I ordered it and hope it will do the job.I will post my success after install and use. You may want to try this handlebar extender. I believe it will fit your handlebars. Check with Luis at Motostrano, but I just recalled today while night riding that the Sduro line cannot support the M99 Pro due to not enough juice generated at the wiring harness. The Xduro line must be different. I have Haibike Fatsix with Yamaha PW engine. I also realized the light wire at the engine is 6 volt. Do you have any idea about the current capasity (or power) from this wire. 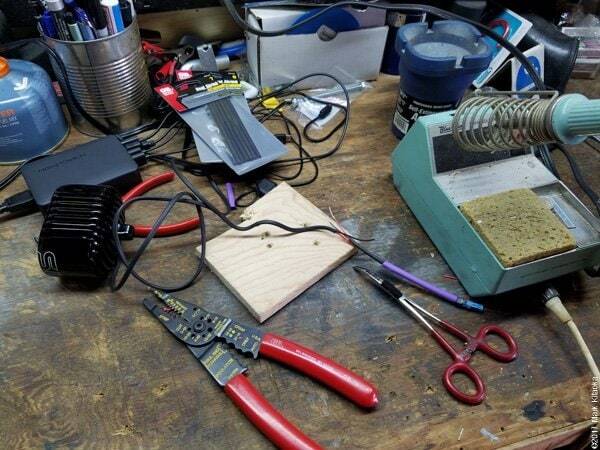 I’m afraid of connecting to strong light that might destroy or create overload..
Hi Ole, I am only aware that the output of the lighting plug is 6 volts. I tested it with a voltmeter when I was installing the M99. If you install a light requiring more voltage I don’t believe it will work. Supernova told me at the time I installed my M99 that for Yamaha motors that was the only Supernova light which would work. On the compatibility list from Supernova only the E3 and M99 tail lights are compatible. but really nothing is supported by the light factories. So i’m wondering if your lights still work. 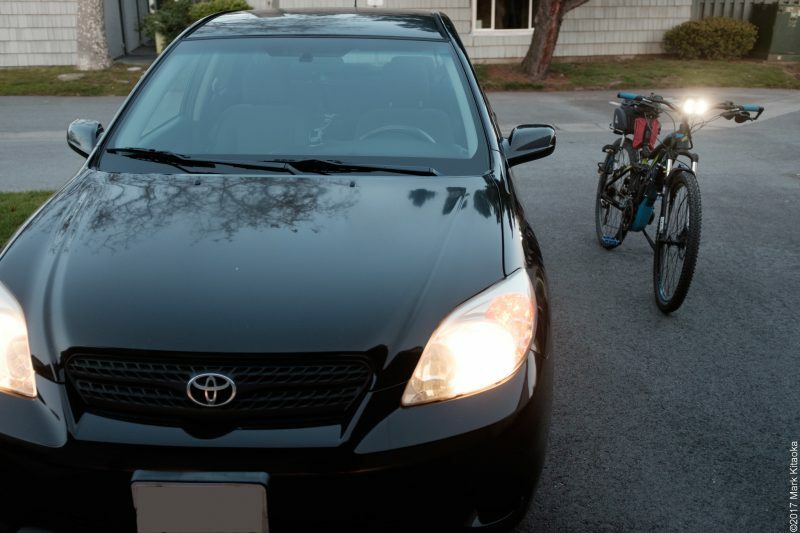 My lights, both the Supernova Front and Rear have worked as described from day one. During this past winter season I was very happy to have them on my bike. The ability to control them directly from the Yamaha OEM panel is great, but the light spread is one of the reasons I chose the Supernova brand. The ONLY issue I had ever had with Supernova was improperly choosing the higher voltage unit which I returned. The Pure works perfectly.